Whitelist your portable drives only and block all others! USB Block is a simple USB device can steal all your hard work in a blink! USB Block helps you to overcome such risk! 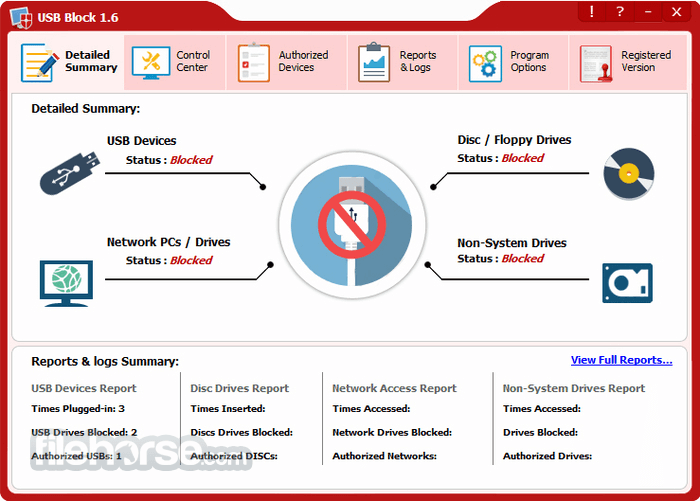 USB Block is a data leak prevention software to block USB drives on your PC. Prevent theft and leakage of your important files, documents and source codes from devices like USB Drives, CD/DVD, and network computers. 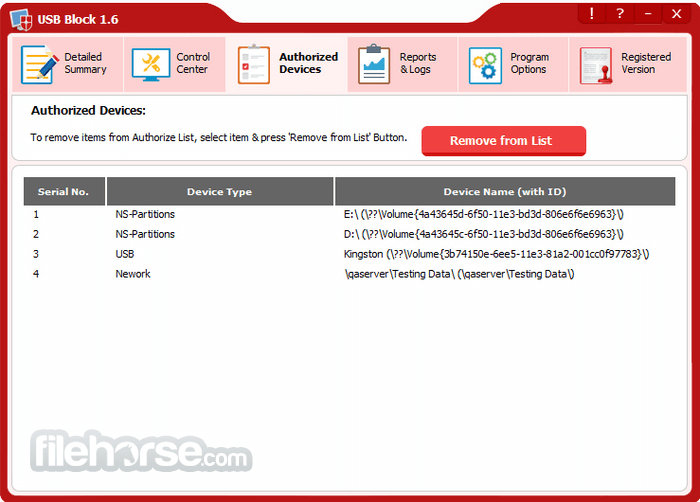 You can white-list your USB drives and devices. 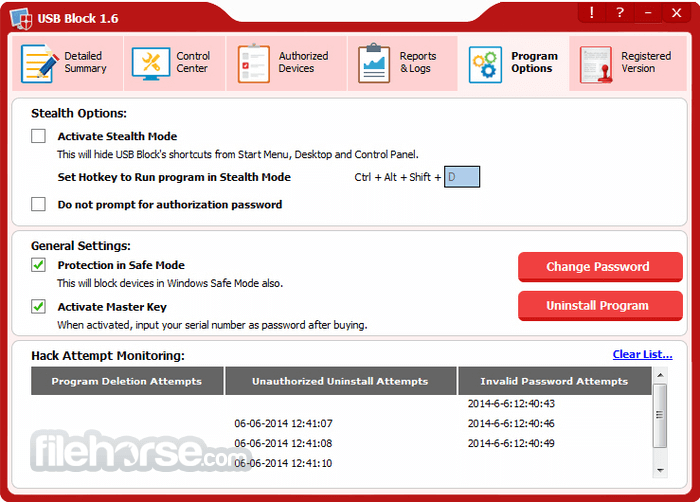 Whenever an unauthorized device is detected, a password prompt comes up. Prevent data leaks by restricting USB drives, external devices & ports on your Windows PC. Note: 25 uses trial version.